We've been working on our fluency of addition and subtraction facts to 5 and my little scholars are getting so good at it! I found this gem on Pinterest and today we made our own version. 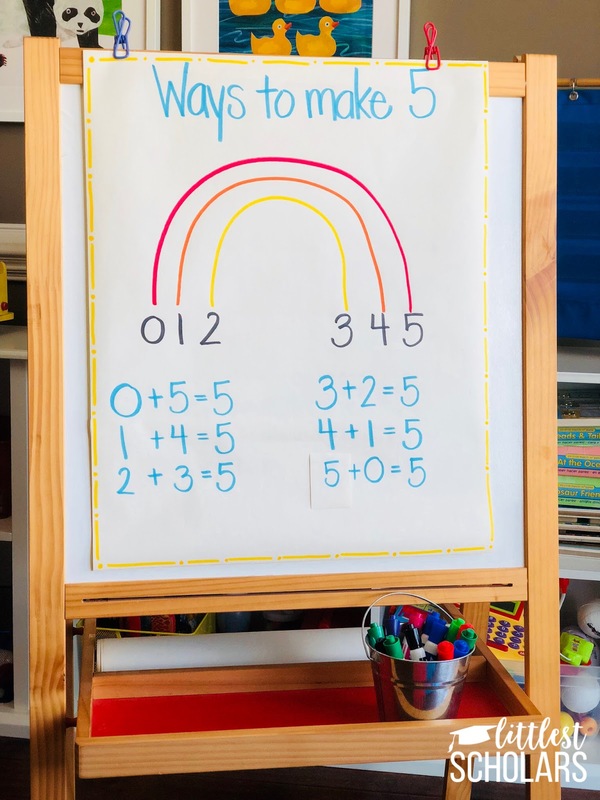 We made an anchor chart for the ways to make 5 and we'll soon make one for ways to make 10. 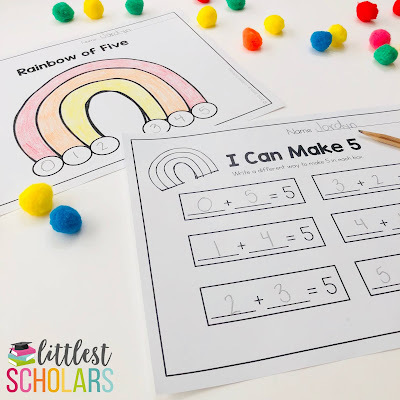 My little scholars each made their own rainbow of ways to make 5 to keep in their math folders. They recorded the ways to make 5 on the recording sheet. You can grab the ways to make 5 printables here! 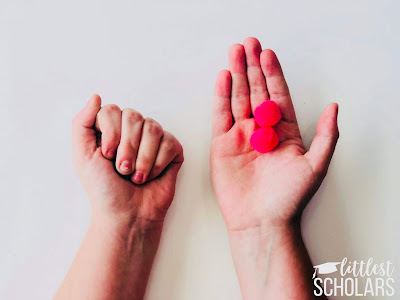 We played a fun little partner game to build their fluency of facts within 5 called "Hiding in My Hand." 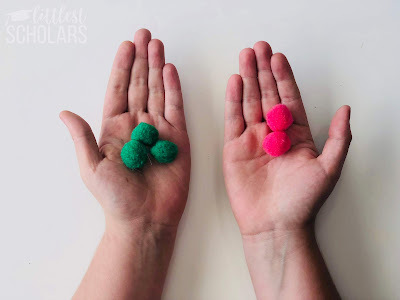 Give each pair 5 pom poms or other small manipulatives. One of your little scholars will divide the pom poms up (2 in one hand, 3 in the other or 4 in one hand, 1 in the other, etc.) and show their partner the pom poms in one hand. 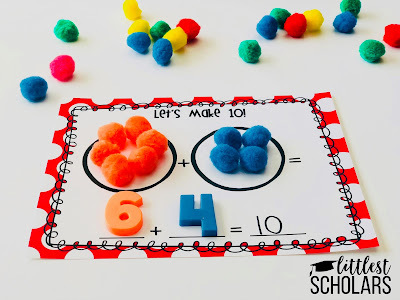 The partner has to figure out how many pom poms are missing, building their fluency of facts within 5. 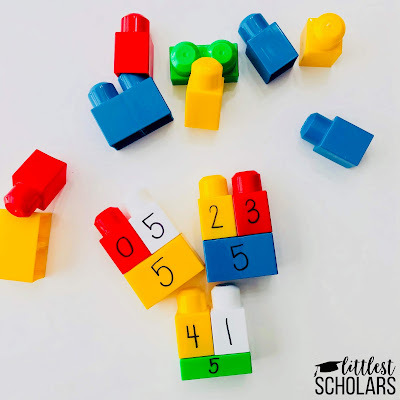 We also used these Duplo blocks to show the different ways of making 5. 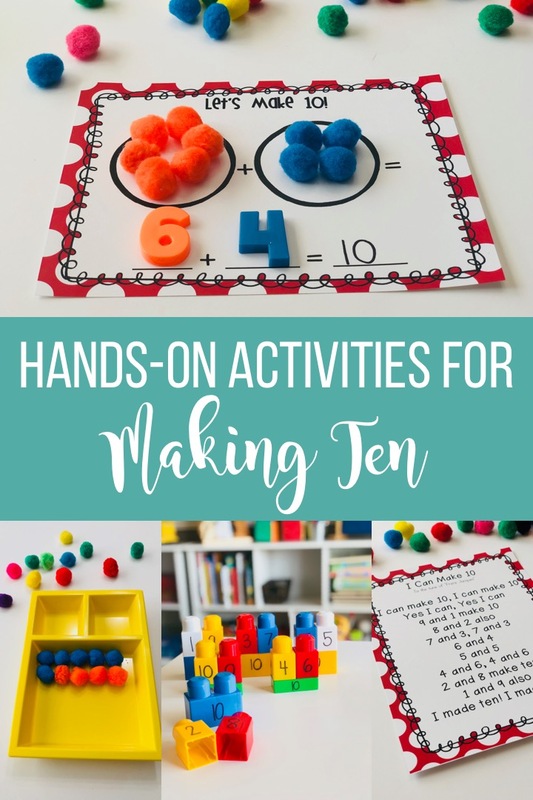 I've also started prepping my ways to make 10 activities. 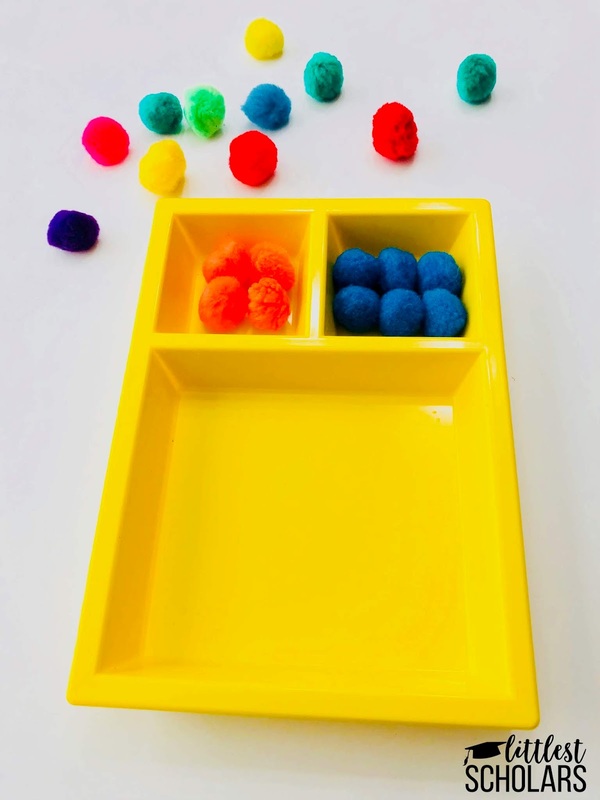 My favorite materials to use for teaching this unit are pom poms and bingo daubers. 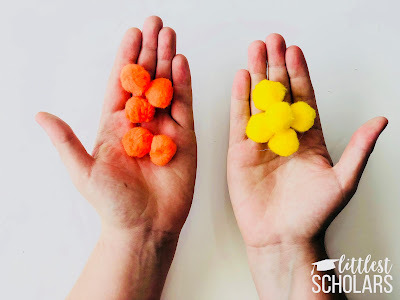 We'll play "Hiding in My Hand" with 10 pom poms and do some other activities my little scholars will love! 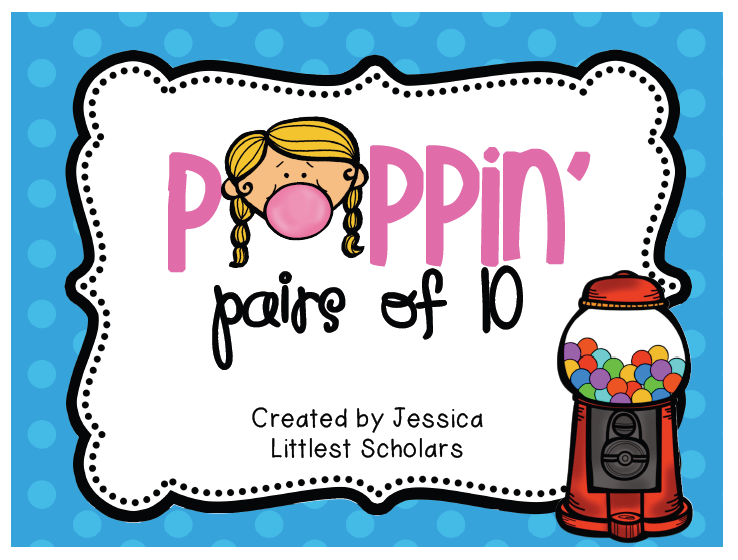 We'll be making our Poppin' Pairs of 10 books. My little scholars will keep these in their math folders and at the end of the unit will be able to take them home. 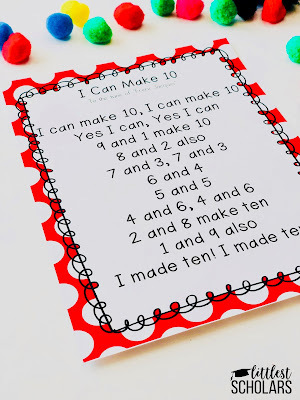 I make up songs for almost everything, so teaching ways to make 10 is no exception. We'll be learning this song, "I Can Make 10." This song is in Poppin' Pairs of 10 unit. Bubble Gum Drop might be my favorite activity in this unit! My little scholars will open a plastic container, dump out the pom poms, and record the combination of 10 on the recording sheet. We'll use these mats during small group. These mats are from my Poppin' Pairs of 10 unit. I got these trays from Goodwill and have found so many uses for them! We'll use them to make ten during small groups. 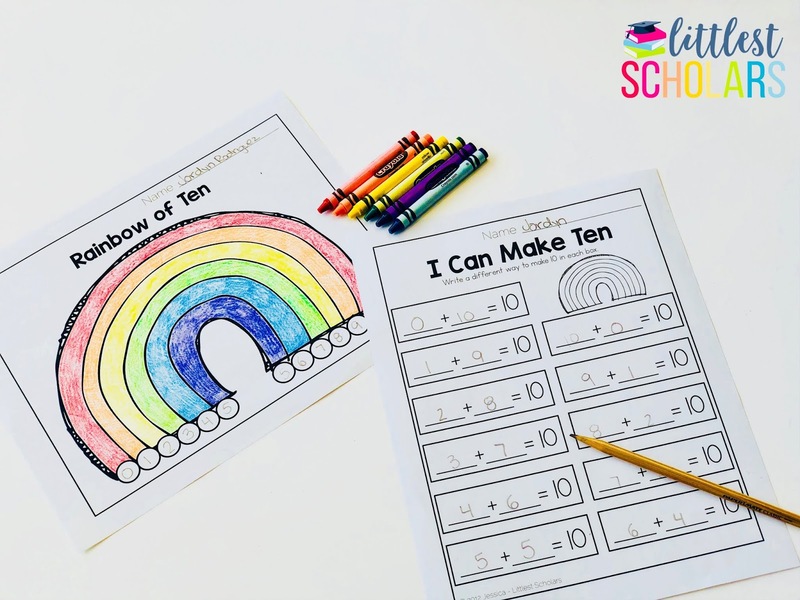 I also made copies of the ways to make 10 rainbow for each of my little scholars to keep in his/her math folder and a recording sheet to write all the ways to make 10. 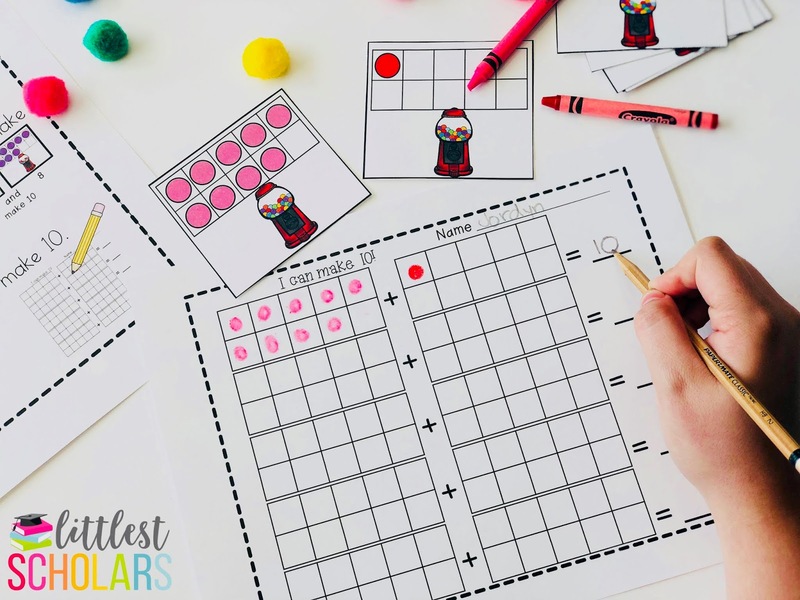 You can grab both the rainbow and recording sheet printables here! 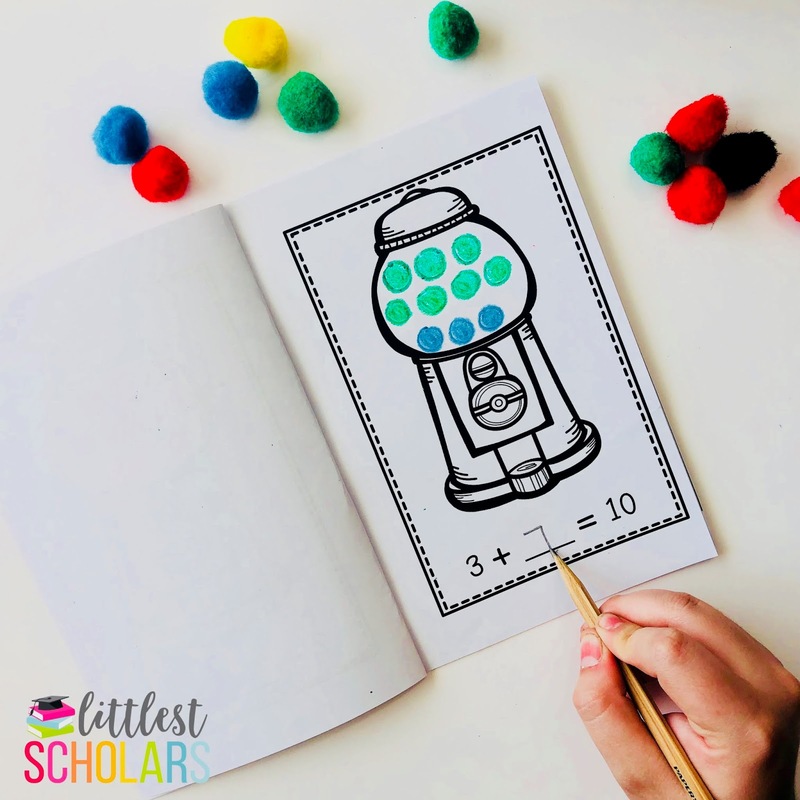 Check out my Poppin' Pairs of 10 unit that includes 4 center activities with recording sheets, "I Can" cards, 2 mini books, posters, a chant, a song, printables and more! 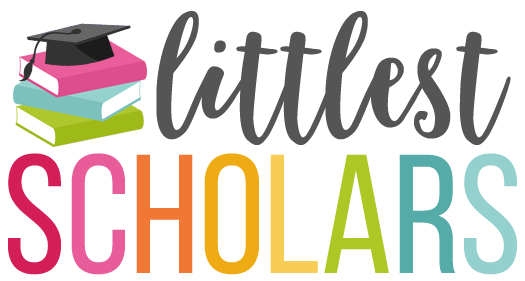 Pin the image below to save this post for later! This is so cute...thanks for the printable! 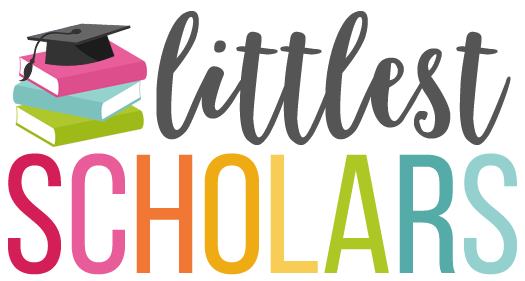 You're blog is awesome and I just passed on the Liebster Blog award. Thanks for sharing your great ideas. I love this, I am going to find a way to modify this for kinder! I am your newest follower, I would love for you to visit me! This is so stinkin' cute! Just love it! I'm way excited to make the rainbow anchor chart and have my kiddos work on this! Thanks so much! 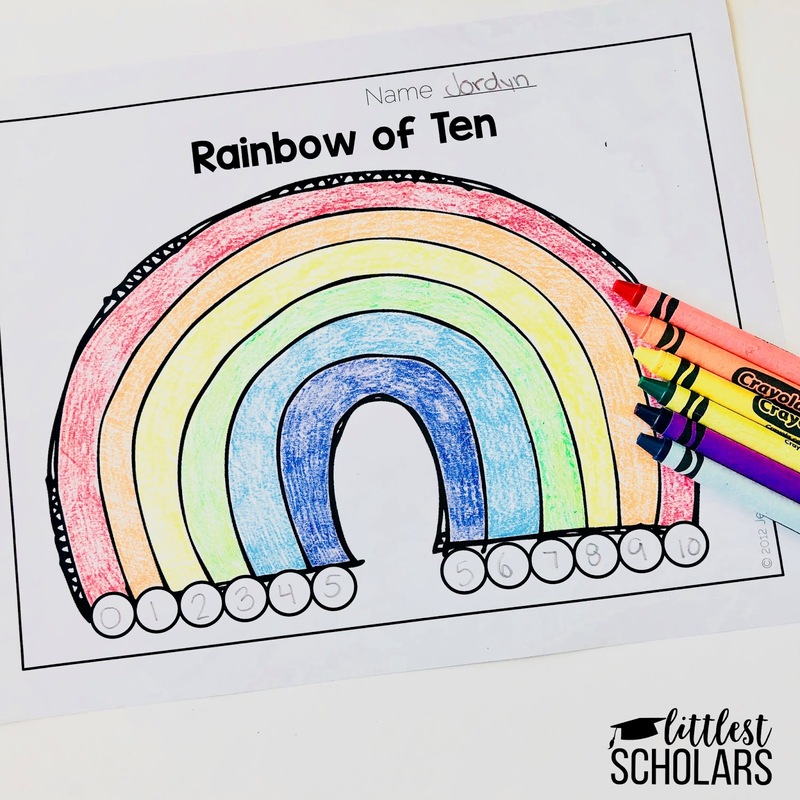 Hi Jessica, I love the adding to 10 rainbow. Would you consider making the printables for the adding to 5, since it is common core? The add to 10 would be great for enrichment. Thanks for the rainbow addition...great idea! Love it! Thank you so much for sharing! that is a big help, Im trying explain to my son for last two days but today I will use yours tips. 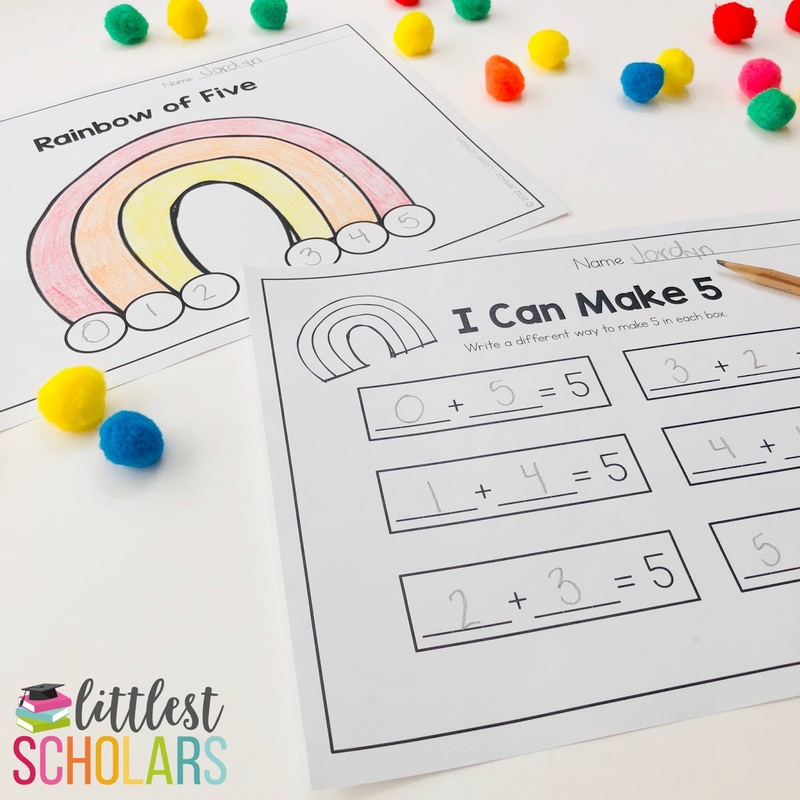 Thanks for the rainbow math freebie. 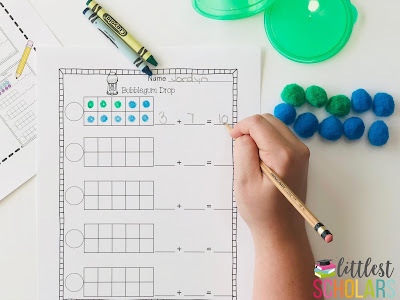 It's so cute and will be fun for my first graders. It's just what they need right now. I found your blog from a pin of this on pinterest. I'm happy to be your newest follower. Take care! Oh my word! I love this idea! We are really pushing the addition up to 5 right now as well! Thanks so much for sharing this. It will def. be in my lesson plans next week. Thanks for sharing this! Brilliant! Thanks for sharing the printable! Just what I was looking for! Hi. My son can count up to 100 when he is reading from the number train, but when he is counting on his own he struggles. 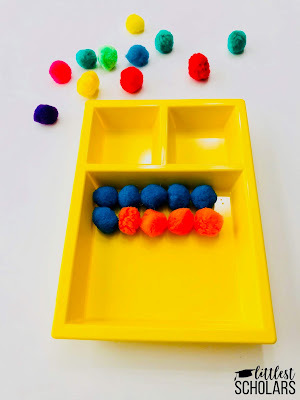 Do you have anything that will help him to understand counting. Thank you for sharing this, we are trying to make math more visual for it all to "click". This will help my daughter for sure! oh this is just awesome!!! What a great tool! This is such an amazing idea to use with my students. I have only ever used ten frames for this concept. I can't wait to share this new strategy with them! Thank you!